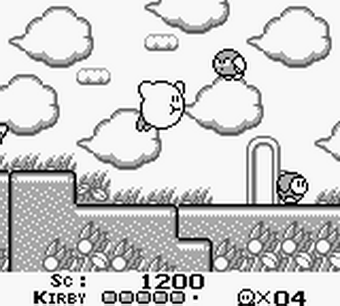 OverviewThe first game to star the lovable pink puffball, Kirby's Dream Land follows the titular character on his quest to save Dream Land from King Dedede. 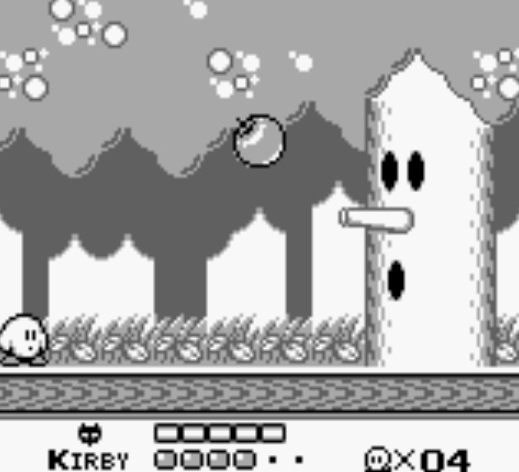 Kirby's Dream Land is short platformer that introduced us all to that pink ball of fluff. 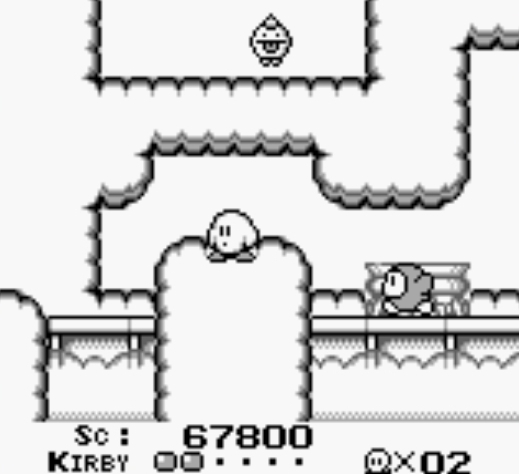 There is no copy ability in this game, that would come later in Kirby's Adventure. 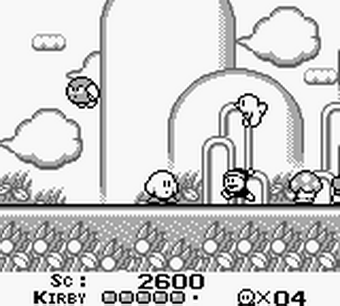 Dream Land is in peril! An evil king has stolen the magic Twinkle Stars. 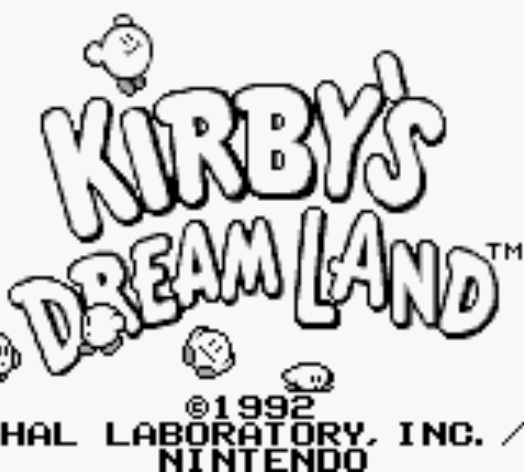 If they're not recovered, the people of Dream Land could starve. 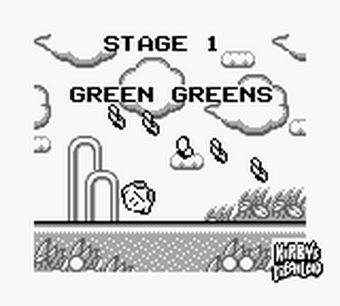 Meet Kirby, a roly-poly little hero, as he runs, jumps, floats and swims in search of the treasured Twinkle Stars. 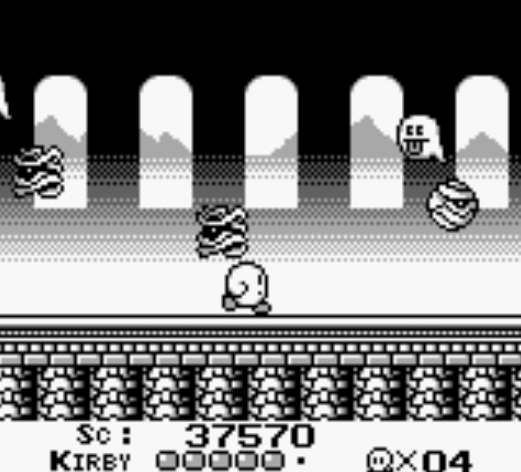 He'll puff his way through castles, caves, dungeons and forests. 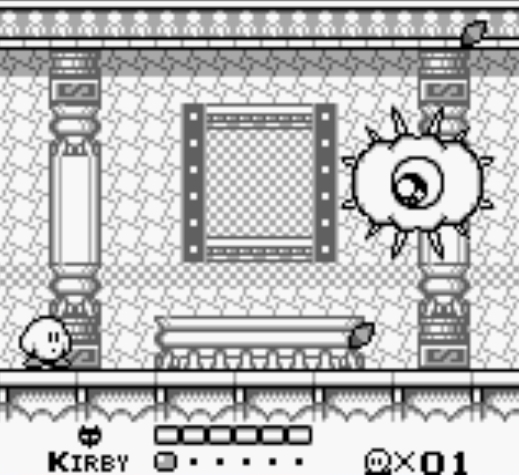 In his path are many wicked and greedy enemies but Kirby has a special way to defeat them! It's non-stop action all the way to the top of Mt. 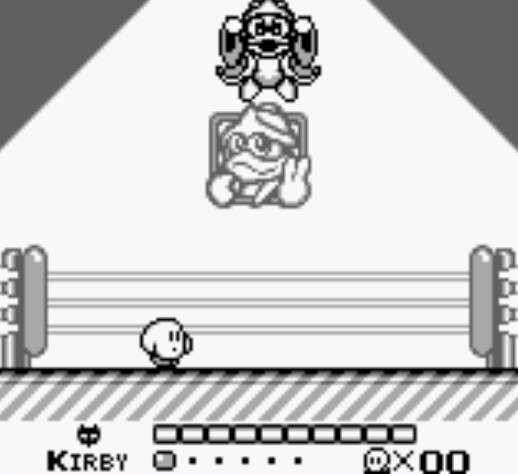 Dedede! Now you can add videos, screenshots, or other images (cover scans, disc scans, etc.) 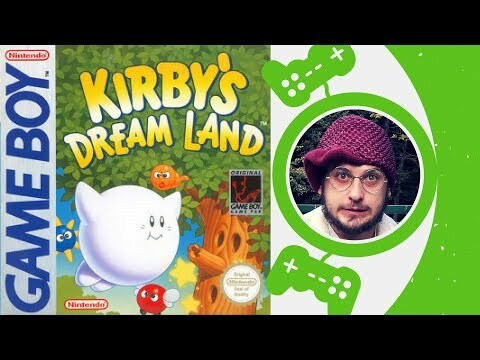 for Kirby's Dream Land (USA, Europe) to Emuparadise. Do it now!